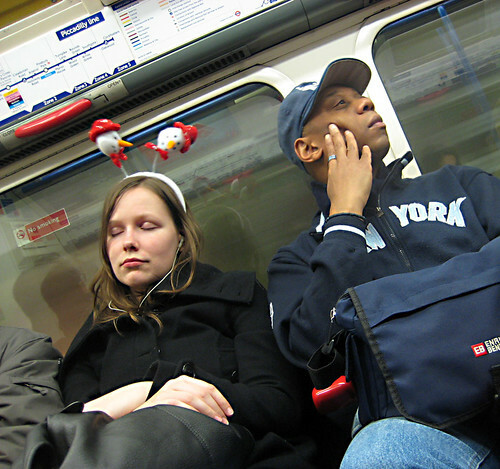 At last, someone has found the real Santa on the London Underground. 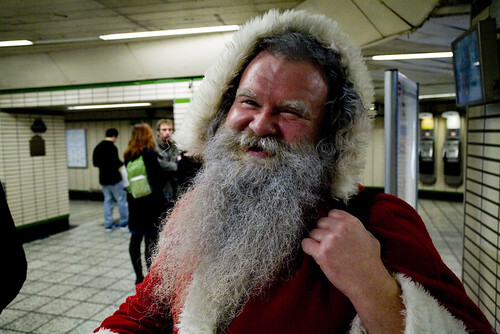 Mario Mitsis took this great picture of a very jolly Father Christmas, who looks like he has his own beard, at Tottenham Court Road Tube. This year's Santacon was held on a very wet Saturday and there didn't seem to be as many photos of the London Santae as normal. 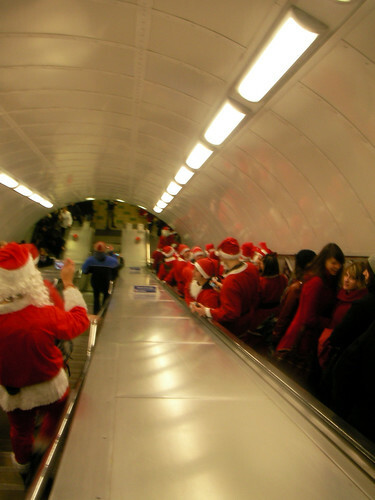 However, Marques Kirsch found a non-Santa outcast standing amongst the Santas on their sleigh .. err sorry... Tube, travelling to their annual meet up. 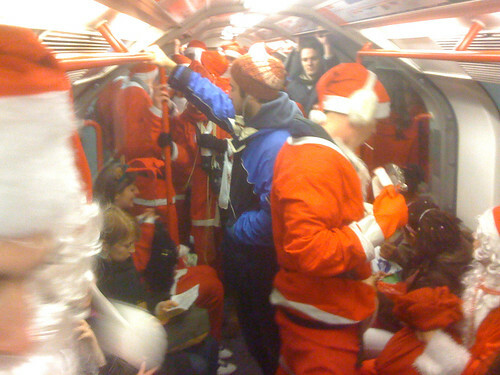 If you spot or have spotted any other Santas on the Tube, let us know. Hopefully the credit crunch hasn't got to Father Christmas on the London Underground this year and maybe I just haven't seen as many as I normally do. Thanks to everyone who entered the Future of the Book competition earlier this month. It followed a session that me, Billy Abbott and Chris Meade ran at Amplified08 on the Future of the Book and an interesting debate at Channel 4 on the Future of Reading. Blurb very kindly donated five £20 vouchers for people to create their own books. All you had to do was tell us why you'd like a Blurb book and what you would do with it. Sara Maternini - "I would love to make a cook book from my blog (http://saramaternini.com/kitchenpantry/), or even a travel book, of all the travel we made and wrote about! And I even started a new food blog, in Italian and it will be cool to get a book even out of that one." Robert MacIntosh - "What a great idea - I've toyed with simple photo book ideas but I have often wondered about putting together a book of my wine photos of Rioja with my thoughts on the region from my blog http://wineconversation.com/ - like a printed blog I guess. However, I was also intrigued by the idea of publishing my grandfather's memoirs so my kids can read them. He wrote a lot during his life and collected loads of photos, but never completed the task. Wonder if I'm truly creative enough? I guess there is only one way to find out." Gaetan Lee - "Well the best bit about user generated books is the variety of content that could be put into a book. I have been tinkering with the idea of making up some photo books from my flickr stream www.flickr.com/photos/gaetanlee for ages... mainly as a ego-gift to myself. The problem is that both of these would be probably private ventures.. I would need to think a bit more carefully about a more 'public' book for sale... I have a feeling that are quite a few photo books out there... so I would have to think of something original." If I ever had more time, I would make a book of my mother's recipes. She's got tons of different recipes, that I still can't "recreate" myself and I would love to make this book together with her." Benjamin Ellis - "The Blurb stuff looks wonderful! Over the last few years I've been blogging about productivity (some of that is here). I've noticed that the biggest productivity problem is that we tend to procrastinate. I've even been putting of writing this comment! Well, what better way to procrastinate than by looking at photographs. So I though I might make a book from my posts and from the photos from my Flickr stream that others seem to like. That way I could give people something that would let them procrastinate whilst they learnt not to procrastinate. If you see what I mean." Congratulations to all and you'll receive an email later today with your voucher. You'll have plenty of time to make your books over the Christmas holidays and we'd love to see the finished books. Thanks again to Blurb for the prizes. 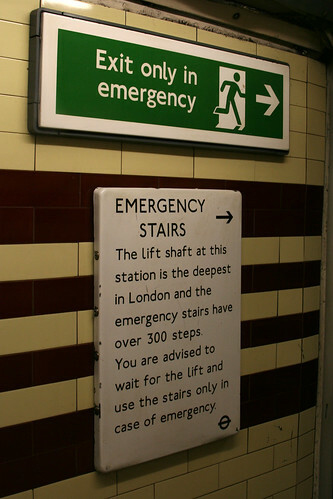 Around 15 commuters had a worrying experience in a faulty lift at Hampstead London Underground station last Sunday. Shortly after 10pm the lift they were in plummeted almost 200ft down the shaft. Hampstead Tube has the deepest lift shaft on the system. The Ham and High paper reported: "Roger Juer, 63, was trapped in the lift during the accident, which he says was like something from a Hollywood horror movie. "It was the most frightening thing I have ever experienced. The girls in the lift were screaming and several of us thought that was it. We thought the lift was going to smash into the ground. I tried to bend my knees a bit so my legs might not break when we landed." Fortunately the lift stopped just before reaching the bottom. "A telephone in the lift was tantalisingly visible behind a locked panel, which couldn't be opened, and although they banged on the alarm button there was no response from staff at the station. After the group had been hammering on the lift walls and screaming for help for several minutes the doors eventually slid open and they rushed out to the platform." "It's not acceptable - and it's not the first time there have been problems with the lifts in this station. Transport for London need to reassure passengers that if there are problems they will be able to contact staff to tell them something is wrong." Thanks to Ian for giving me the heads up to this. 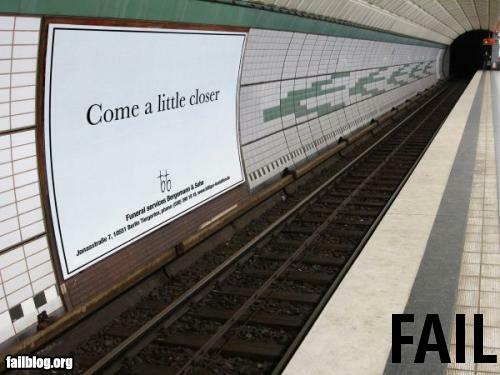 The only consolation is that at least this didn't happen at Covent Garden station. 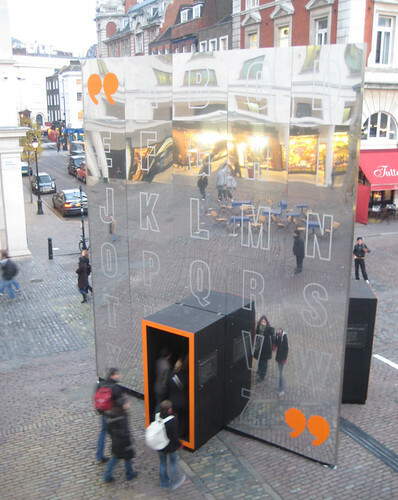 To be stuck in the lift with Loyd Grossman's voice on continual loop giving you directions to the Piazza and the London Transport Museum would test human endurance. The Hampstead and Highgate Express contacted Transport for London, but at the time of going to press, no one was able to comment. Hopefully, by now TfL will be in a position to let people know what happened & do all they can to prevent this or something more serious from happening again. 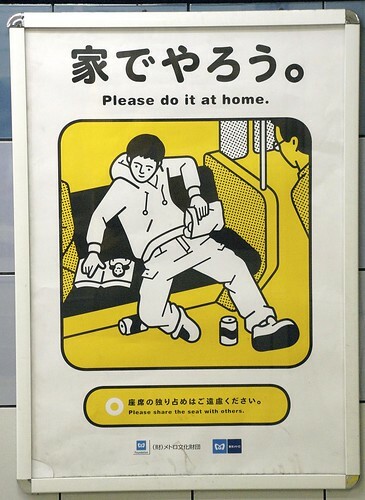 The Japanese like the Brits are now having to be reminded of good manners when commuting The Daily Telegraph recently reported. 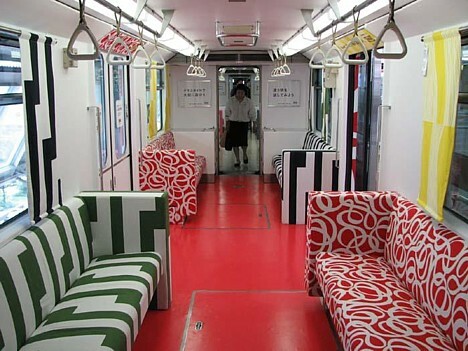 "Britain's train passengers are routinely told to keep their feet off the seats and turn down their MP3 players, but Japanese commuters have never had to be reminded of such basic good manners. Until now, that is." Thanks to Jon for pointing me to this story, specially as tonight's the big office party night of the year, so expect to see quite a few people like the above on the London Underground. 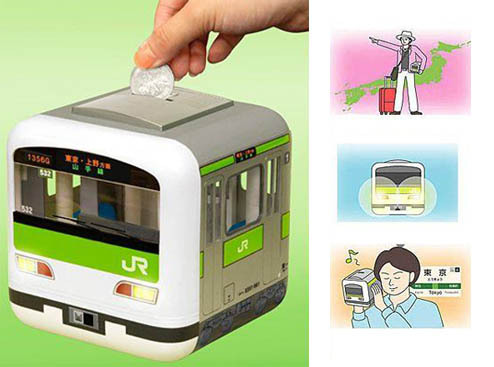 Back to the article: "Five years ago, it would have been unthinkable for passengers on Japan's crowded trains to witness a female office worker applying make-up on her way to work. But now, grooming in public is commonplace. 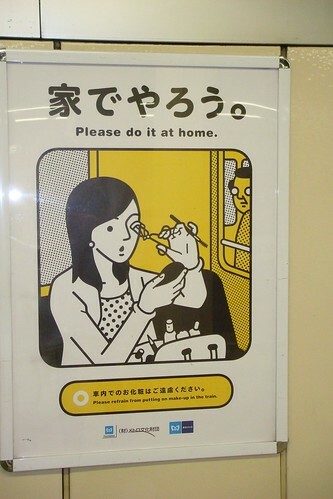 Standards are falling so rapidly that Japan Railways has just launched a poster campaign urging women to "Please do it at home" – put their make-up on, that is." Regular readers to this blog will know how I feel about putting make up on, on the Tube and I still can't see how this is the height of bad manners. Guess I'd better not visit Japan then! The article continues with Toshiko Marks, a professor of multicultural understanding at Shumei University having her say about standards dropping. 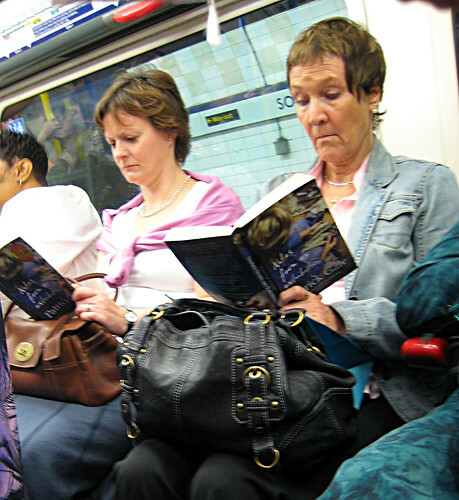 "I first saw a young woman applying her make-up on a train about five years ago but now it is an everyday sight. I even see people on trains eating food that has a strong smell, such as noodles, which means everyone has to put up with it." Isn't that the main difference between make up putting on and eating smelly food? Most people in a carriage will have to endure or envy the smell of food. If you don't like watching me put my make up on, which isn't really that stomach churning, close your eyes, read a paper or an advert or don't look at me. Professor Marks continues with the implication that the posters are now part of a Nanny state. "Parents used to have time to teach their children respect – we could actually call it common sense – but mothers and fathers now both have to work and are too busy to nurture and raise children in the right way". She concludes with something that's also common in the UK: "People say they are frightened they will be attacked if they get involved in a situation. And that leads to another great Japanese tradition: pretending that if you can't see anything, then nothing is happening." 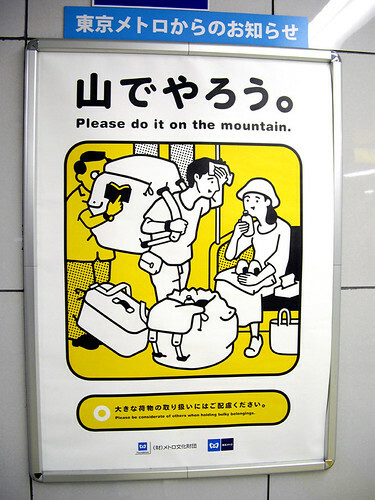 Of all of the Please Do It at Home series, my favourite is the one above aimed at large ruck sack carriers. 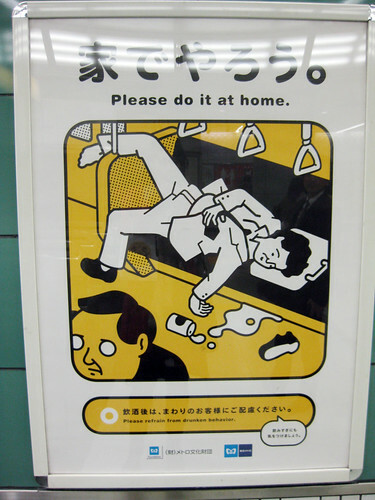 Only time will tell, whether the cartoons will make any difference to behaviour in Japan. In the meantime I'll look forward to next year's iteration of the cartoon characters telling us how to behave on the Tube. The ad for the film Righteous Kill placed at Stockwell London Underground Station, where Charles de Menezes was shot dead after being mistaken for a suicide bomber, has been ruled as breaching decency guidelines. You may remember from a blog post in September that its tagline read: "There's nothing wrong with a little shooting as long as the right person gets shot." 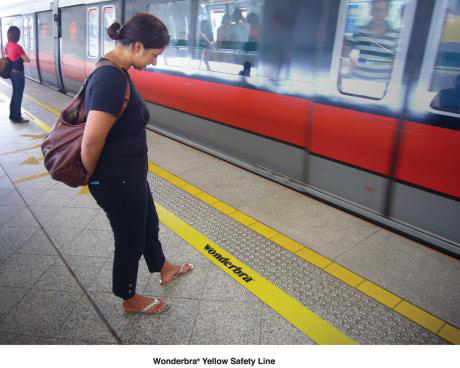 The Advertising Standards Authority said: "We understood the siting of the poster at the station was unintentional, but nevertheless considered that the text... had the potential to cause serious offence in that location". There's more on this at the BBC. Although the poster was eventually removed at Stockwell it was still there when members of the inquest visited the station in September. Film distributors Lions Gate said "We considered that most people were likely to understand that the poster reflected the content of the film and the quote was intended to be wryly humorous". 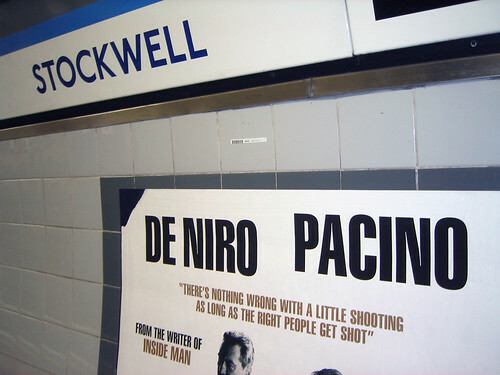 In the light of everything that happened at Stockwell it still seems weird to me that the poster was ever put up there in the first place. I'm sure the advertisers bought the ad space of the whole line, but maybe CBS Outdoor, who sell London Underground advertising space, should flag up particular stations which have violent associations. As we all know, the Tube have a rather prudish attitude to posters in general & in the past have banned ads that show a bit of bare flesh, so it's amazing that this happened. However, it's good to see this decision from the ASA about true decency standards & insensitive positioning. Maxwell Roberts, creator of the wonderful Curvy Tube Map and author of Underground Maps After Beck has two new posters on sale in the London Transport Museum. One's of London's railways based on a drawing by Henry C. Beck who's responsible for the famous London Underground map we use now. The other is based on Beck's design of the Paris Metro map. Max has kindly offered two of the large format posters if you can answer the following question based on Henry Beck's design of the Paris Metro map. "The poster for sale at the London Transport Museum is actually Henry Beck's second attempt at the Paris Metro. His first one, which the RATP turned down, was created around 1949. 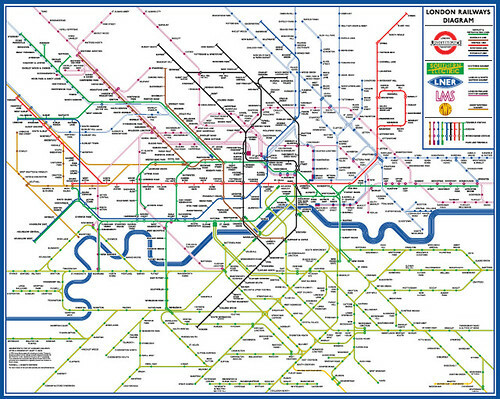 It is shown in Ken Garland's Book 'Mr Beck's Underground Map' (Capital Transport, 1994). What really really important Metro station is missing from Beck's first attempt?" Leave your answer in the comments below. The first correct answer will get the London Railways poster, and also the Paris Metro poster above. However, even if you're not first with the right answer, anyone who makes a guess or leaves an interesting comment will go into a prize draw to win two posters as well. Don't forget to leave an email address, blog or website so I can contact you if you win. You have until 11.59pm UK time on Monday 22nd December to enter. Best of luck and thanks again to Max for kindly donating the posters. 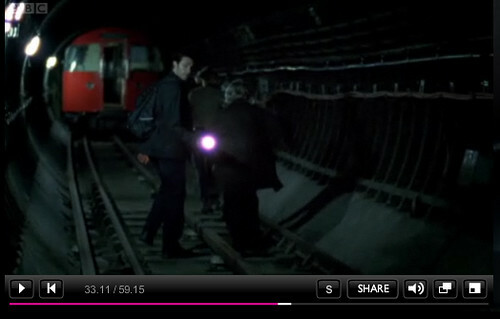 No, this isn't about ghosts on the London Underground or even ghost stations on the Tube, but the BBC1 drama series Spooks. I understand it's a very popular show, but to be honest, I've never watched it until today. 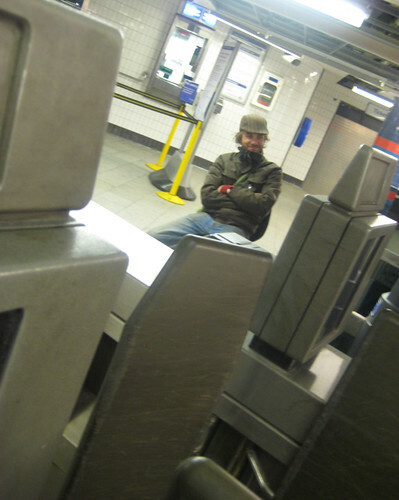 However, I heard from a couple of people, Nick Cooper (who runs the fab London Underground on Film & TV site) and Fourstar, that much of the last episode was filmed on the Tube. Over to Fourstar who said "I was interested in the use of disused Tube tunnels in the final episode of 'Spooks' this Monday. 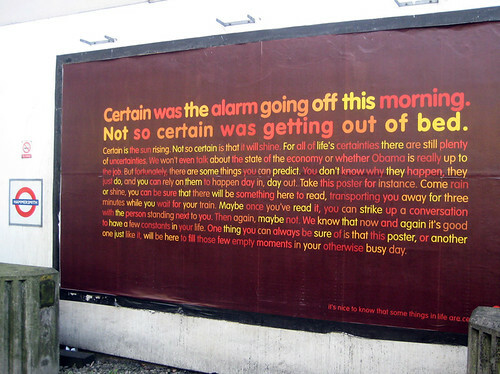 "Artistic licence aside, it was good to see - they even ran through a parked train at one point, disturbing a sleeping homeless lady." Nick thought it was "unintentionally hilarious" and Fourstar wondered "if the journey would actually be possible (via Bank, presumably??)" I've no idea, but like Fourstar I liked seeing the real London Underground being used rather than just a mock up. 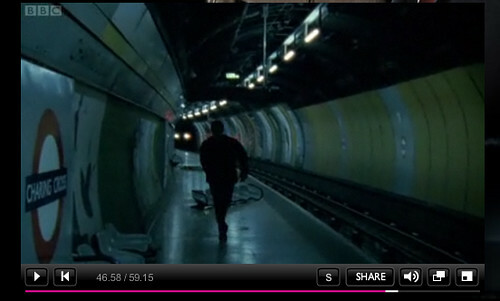 If you're in the UK you can watch the full episode of Spooks on BBC iPlayer here. A new survey by Transport for London has "found" that commuters lie and use London Underground delays as an excuse for being late. An independent study of 1,000 commuters shows that half of those who were late lied about the reasons why. 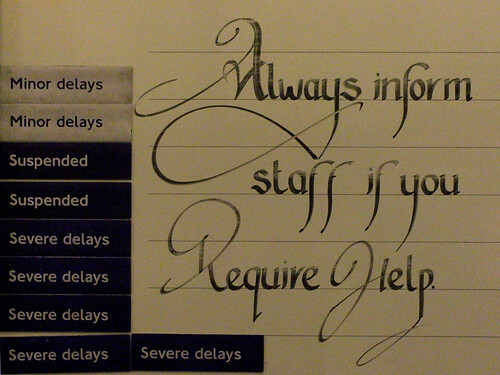 Delayed Tube trains and heavy traffic were the most common excuses. 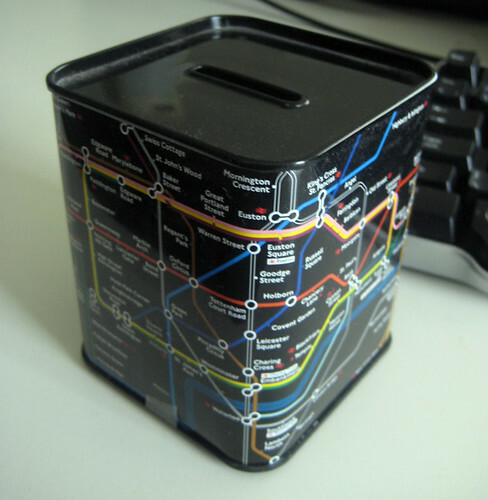 The survey was to launch the new Travel Tools that me and other bloggers were given a preview of a few weeks ago at a bloggers briefing with TfL. As much as I welcomed being invited to the briefing, I was almost speechless when I heard about this survey. 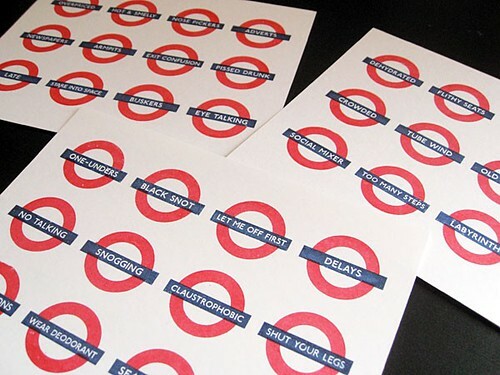 I'm sure most people who use the Northern Line and the District Line, which is fast becoming as bad as the Misery Line, are also fairly speechless. 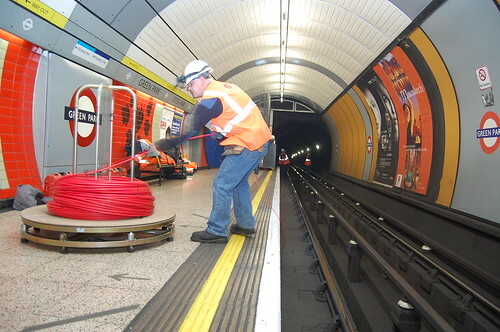 20% of Londoners used the 'Tube was late' as their excuse, while only 5% said poor service on the Underground was the real reason they were delayed. There's more on this at the BBC. However, I wonder how many lines were represented in this survey? 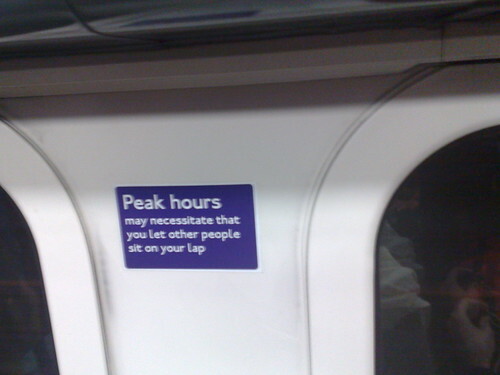 It probably wasn't carried out in the rush hour either. Maybe it's just me, but I find it hard to put a lot of faith in a survey like this, commissioned by TfL to promote travel tools. Rather than blaming us for fibbing about delays, it might have been more positive to put the money on the survey to better use. Like making it easier for us to find a link to the Customer Charter when you can make a claim when you're delayed by more than 15 minutes. This has happened to me twice this week and it's only Thursday. 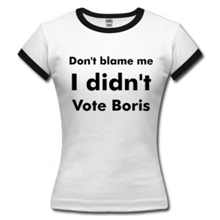 This year I've racked up £70 in Customer Charter refund claims and I forget to make claims a lot of the time. Anyway if you're one of the liars, I've made things a little easier for you with a random London Underground Delay Generator. Based on Reginald Perrin's "Sorry I'm late, cow on the line at Bagshot" excuses - you can have minutes of fun coming up with some more reasons for your boss to think you're a work shy fop who wanted a lie in. 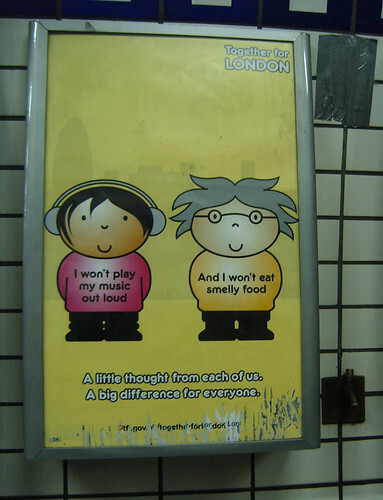 One of the pet London Underground hates that many of you mentioned a while back were Tube "Space Invaders". 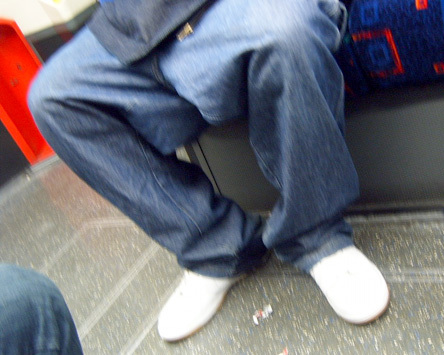 This covers arm rest fascists, guys who sit with their legs wide apart and generally people taking up too much space on the Tube. Thanks to The Kitten's Toe I found that in Berlin there are signs in trains trying to stop people from taking up too much space when reading their newspapers! Luckily I haven't seen too many people who have a major problem with newspaper reading on the Tube, but it must be an issue in Berlin. 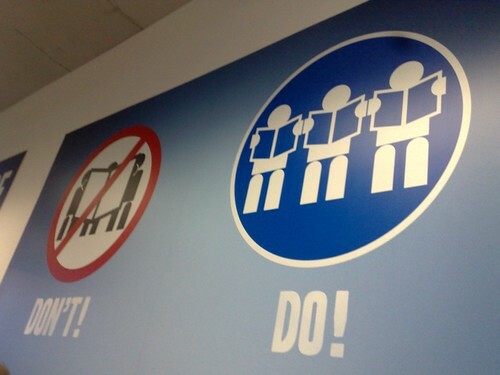 There's a worrying similarity between that sign and the Metro cartoon in terms of the stance. So arms folded also seems to go hand in hand with legs wide apart. I love the big exclamation mark and am not quite sure if it's really saying "Stop doing this" or "Warning men with over filled trousers are sitting opposite you". I certainly needed this sitting across from the guy below. Either way, I'd love to see signs for less Space Invading on the London Underground and I'm sure I'm not alone in thinking this. As a follow up to the Future of Reading on the Tube post which stimulated a really thoughtful discussion, I've been given some great prizes from Blurb books & last week was also able to attend a debate at Channel 4 - Game Up! on whether games have become the new reading and whether games can tell a story. One of the themes that came up frequently at our session on the Future of the Book at Amplified08 was the different types of storytelling we were exposed to. Much of the gaming that people (particularly kids and young adults) play have complex and hugely imaginative narratives that rival the amazing worlds and adventures that classic writers such as Homer, Shakespeare and Tolkien created. 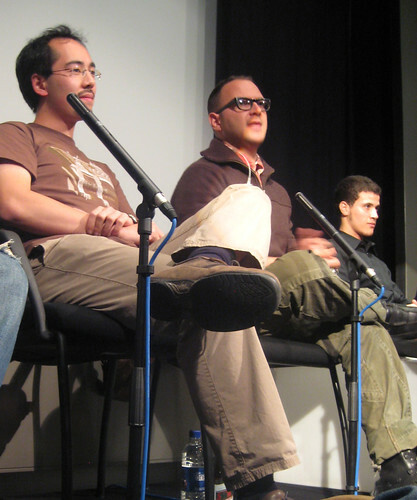 A fascinating panel was made up of blogger & writer Cory Doctorow of Boing Boing fame who's now published his first novel for young adults – Little Brother; Adrian Hon, the co founder of Six to Start – and a leading alternate reality game designer, who produced Perplex City, the world's first commercially successful ARG, Alice Taylor, Commissioning Editor of Education at Channel 4 & founder of gamecentric blog www.wonderlandblog.com; Andy Walsh, games writer, developer & story consultant and Derek Robertson a teacher & adviser for learning and emerging technologies with Learning and Teaching Scotland. Channel 4 also managed to rope in a couple of token teenagers to sit on the panel, so it was nice to hear what two 17 year old, self confessed addicted gamers thought on the subjects. Hopefully, others have covered the debate better than me, but the panellists set out to cover the following issues: Where do we get our stories from and what do we want from stories now? What type of narratives do games offer and what does this mean for writers and readers? 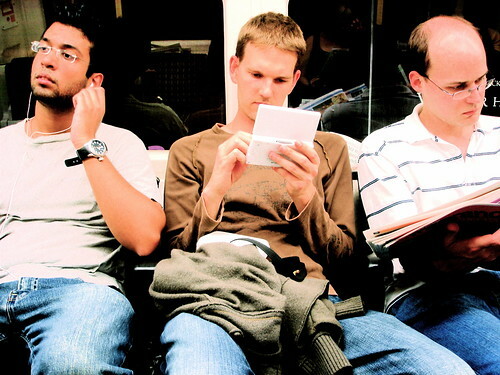 How can we build on this relationship to grow both the reading and the gaming market? Something that often comes on the subject of digitalising books is the concept of copyright, ownership and whether the author will get paid if their work is freely shared on the internet. I've heard Neil Gaiman make the point that he doesn't mind when his work is shared for free and encourages it. Sometimes I think that's pretty easy for a best selling author to say. If you're minted of course you don't really care a few people "steal" or freely distribute your work. However, Cory made more sense of this opinion. 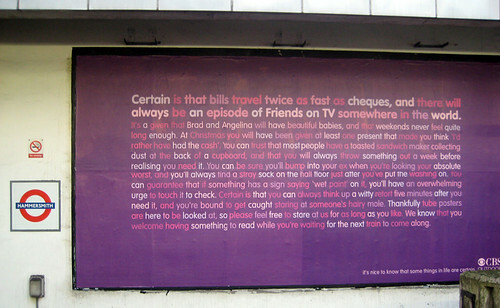 However, with consuming books and story telling online, content isn't necessarily king, but "Community is King". Cory spoke about fan fiction and the amazing forums & stories built around other people's work. When your book stops becoming something someone reads and becomes something someone does, then you've really engaged the reader. He argues that this shouldn't hurt sales as you still have to have read the original book to take part in the community, otherwise you're on the outside, not the inside. Interestingly the teenagers' take on this was that you can't exactly read a book with a friend, but you can play a game with a friend. This is true, and unless you're forced to read someone's book cos you're stuck next to them on a Tube with nowt else to read, reading is generally a solitary experience. 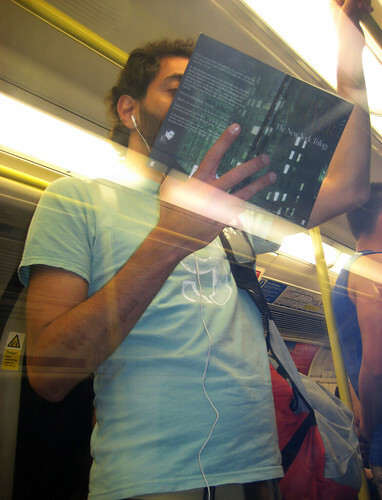 Admittedly there are a huge amount of book groups now which take shared reading to another level. As I mentioned in our session on the Future of the Book, whatever we think about Richard & Judy's Book Group it's managed to get more people reading than any recent initiative I've come across in the UK (even if it means the Stepford Wives approach to reading shown above). Gaming with extended narratives & other online experiences can make our reading a lot more social. Making it more social is bound to increase the audience & isn't that what all writers want? Adrian Hon was lead developer with Penguin books "We tell Stories" project. 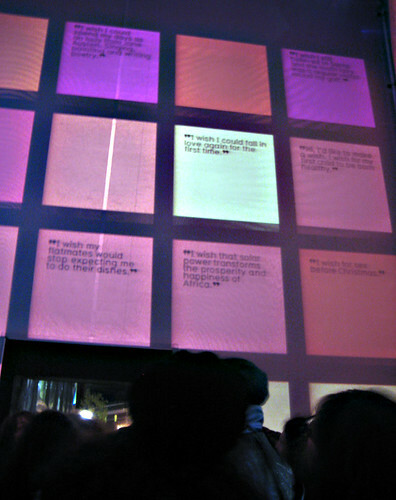 Writers produced work for the internet and were not only able to do some experimental stuff involving Google maps, but also reached thousands more people than they could have hoped to in print. 200,000 people read 21 Steps, which would have made the book a major best seller if it had come out in print. 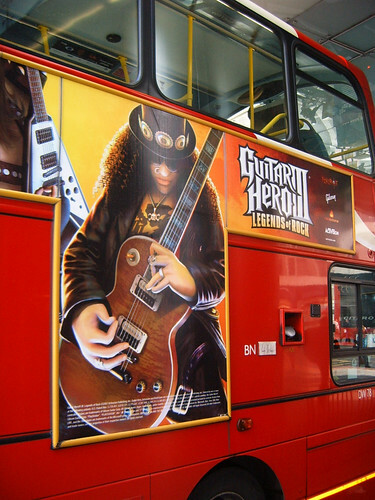 Derek Robertson said that he was using games like Guitar Hero as "contextual hooks" for children to write stories about imaginary rock stars. He had a major battle with parents who felt that their kids shouldn't be playing computer games but learning. However, once he showed them what could be achieved when children were allowed to explore words & writing through games they were much happier with the idea. Derek also used old radio plays from the 1930's and 1940's as learning aids. He felt that a lot of the mysterious "film noir" and detective plots from those days had a lot of bearing on current popular games and interactive mystery novels like Hotel Dusk. Again the children managed to become involved as writers rather than just passive readers, which not only increased their enjoyment of the story but also taught them writing skills like creating suspense, tension and ending stories so that people wanted to tune in to find out what happened next. Adrian Hon made the point that a lot of people are worried that gaming means that people are reading less. He said the counter argument is often used that people are actually reading more words now as many games have lots of words in them. He argues that this whole concept is fairly stupid as it shouldn't be a competition based on how many words people read. Isn't it about the quality of those words? Or the context of those words? Or what reading those words leads us to do next. You can catch Adrian Hon continue a discussion on The Death of Reading this Wednesday at a mini London Geek Dinner. The whole debate raised a number of interesting issues and I particularly appreciated the points about making stories available online giving authors a wider audience. In our Future of the Book session we spoke about how everyone can became an author or at least have a worldwide audience through blogs & other online forums. It's much easier to take that even further and if you want people to experience your work in a more traditional & portable form through a book – self publishing is easier than it's ever been. Thanks for making it this far into the post, and there's a special treat for doing so. The guys at Blurb books are all about giving everyone the opportunity to create really great quality books & they've very kindly donated five £20 vouchers to make a book. It's pretty simple to win one, just tell us (in a couple of lines or paragraphs) why you'd like a Blurb book and what you'd do with it. It might be as basic as wanting to see how your blog might work as a book. It may be that you've a load of pictures from your holiday that you think would make a great gift for your family. You may want to become the next Nigella Lawson or Hugh Fearnley-Whittingstall & have some recipes that could make a fab cook book. Whatever. Just leave your reason in the comments below & if you've also got a website, blog or Flickr set to show us what you want to publish, add the URL to help us choose the winners. You've got until 23.59pm UK time on Monday 15th December to do this and Blurb & their agency will choose the five winners. Don't forget to leave an email address or website so we can contact you. Best of luck with the competition and please feel free to leave any thoughts you might have on reading and gaming too. What is arguably one the most famous & certainly expensive works of art featuring a London Underground Map is Simon Patterson's Great Bear. On Tuesday 9th December at 6.30 he'll be giving a talk on his life and work and hopefully might be able to explain how The Great Bear fetched £14,950 in an auction. 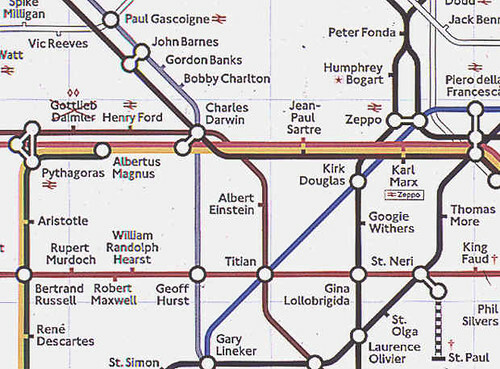 Patterson replaced the names of stations on the London Underground map with names of film stars, explorers, philosophers, saints, footballers, comedians, politicians, journalists, celebrities, artists, and planets in order to suggest new relationships between them and challenge the connectedness of things. 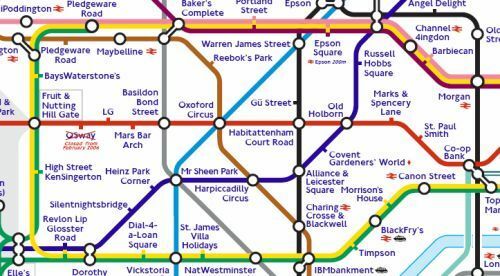 "The diagrammatic Tube map and the star constellation The Great Bear are two of the most internationally renowned and easily accessible systems for ordering complex information. By adapting one and adopting the name of the other, Patterson's new arrangement of the 'stars' challenges the authority and function of both systems." said the London Transport Museum. 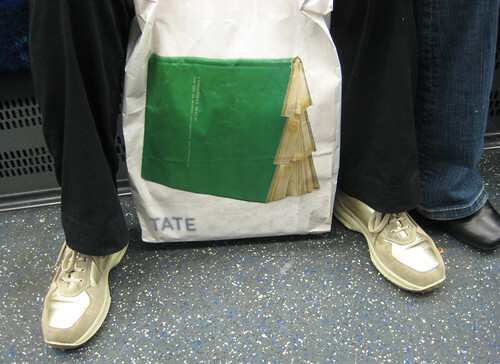 In 1992 The Great Bear was on display in the Tate Gallery and shortlisted for the Turner Prize. 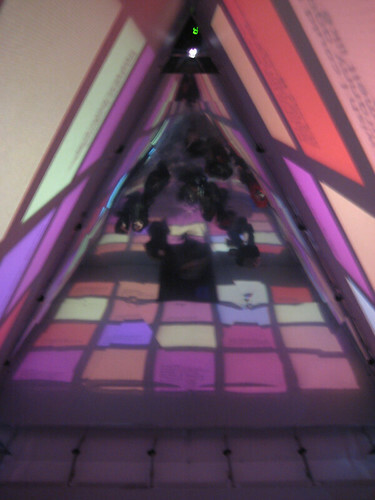 It also made it into the Sensation exhibition at The Royal Academy in 1997. But is it art? Matthew Collings and art critic from the Independent wrote "Where exactly is the art in 'The Great Bear'? Is it the concept or the execution? Is it about words or places?" 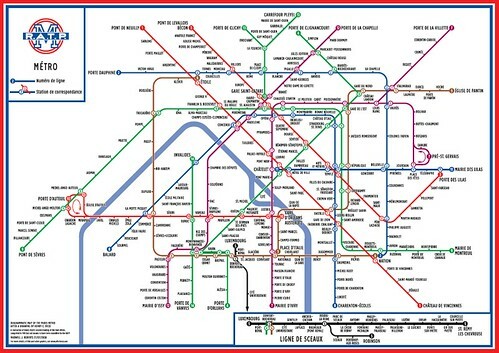 Probably spurred by this, in 1997 the Have I Got News for You team, produced their own Tube map for the back of their book Have I Got 1997 for You - an annual round up of the year. Unfortunately I won't be able to go along to Patterson's talk tomorrow but the London Transport Museum have kindly offered a couple of tickets. If you'd like them please email me, it'll be first come first served. Otherwise tickets can be pre booked on 020 7565 7298 and cost £8.00 adults; £6.00 concessions and £4.00 for students. Full details are at the London Transport Museum's events site. If you have kids and are in London this weekend, you might want to take them to the London Transport Museum, so you can find out what Kipper's favourite form of transport is. 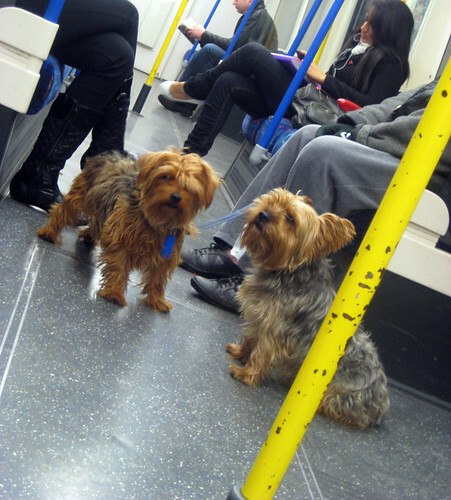 I hope it's the London Underground, as cute dogs seem to be at home on the Tube, like the lovely Yorkshire Terriers I saw a couple of days ago. For the uninitiated Kipper is a cheeky little puppy (drawn by Mick Inkpen) and he'll be celebrating his birthday over the weekend. 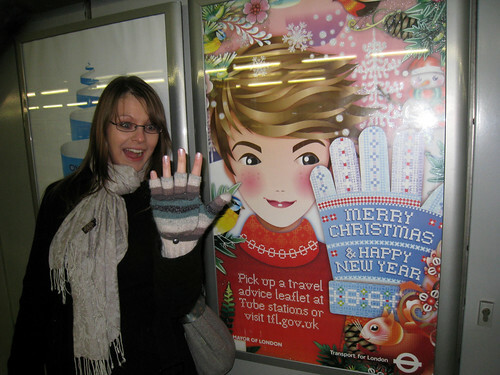 "Find out if he prefers to travel by Tube, train or by a big red London bus; enjoy special games and activities; and join story time with children's entertainer, Liz Fost. All children will be given their very own Kipper goodie bag with a copy of "Kipper’s Birthday", a Kipper poster, Kipper ears and colouring sheets." Tickets for Kipper's Birthday Party must be booked in advance on 020 7565 7298 and an adult goes free with each paying child! His party tickets are £10.00 per child. Also up to two adults per pre-booked children's Kipper Birthday Party ticket can receive a 50% discount on entry to the Museum galleries. For full details visit the London Transport Museum website.